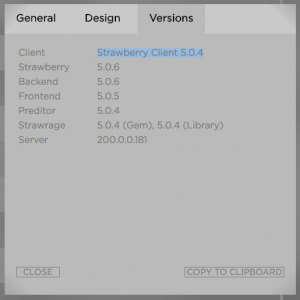 On which version is my Strawberry Client Application running? On which version is my Strawberry Back-End? running?